Now, paying your personal or corporate Georgia state income taxes can be a heart-warming experience. How? Individuals and qualified LLCs, S corps and Corporations can earmark personal or corporate state tax dollars to go to approved rural hospitals – and Miller County Hospital in Colquitt, Georgia is eligible for your tax credit support. Rural hospitals in Georgia are not only critical for access to healthcare to citizens, but they hold the keys economic engines of their communities by providing direct jobs at their facility, supporting local allied businesses, and offering assurance to existing and new industry that healthcare for employees and their families is available. It’s been said, if you want to see a community die, close it’s hospital.It’s a harsh reality, but so very true. Georgia lawmakers understand the extreme importance of rural hospitals and their financial struggles; as a result, in 2016, they enacted Senate Bill (“SB”) 258, legislation that, effective January 1, 2017, awards Georgia income tax credits to individual and corporate taxpayers who contribute to qualified rural hospital organizations (“RHOs”) located in Georgia. 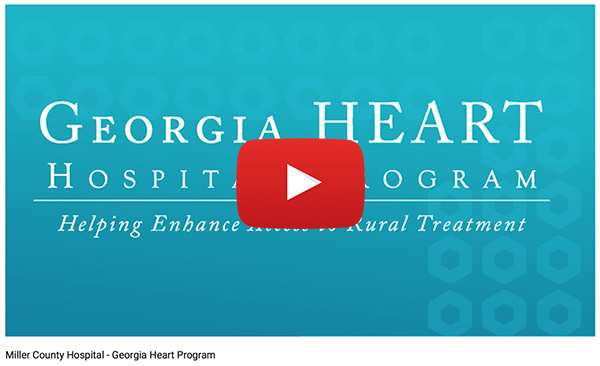 Participation in the Georgia HEART program is restricted to qualified Georgia rural hospitals, with criteria including county population size (50,000 or less, excluding military personnel); tax-exempt status or public hospital authority management; acceptance of Medicare and Medicaid; and minimum annual provision of indigent or uncompensated care, along with other parameters including demonstrating need, sustainability and the utilization of the donation. The bottom line: up to 100% of the money you are going to pay to the State of Georgia for income tax can be allocated to a qualified rural hospital of your choice as a tax credit. It’s that simple – instead of paying the state tax money, you can donate the designated funds to a rural hospital and make a real difference in the lives of our patients. Why select Miller County Hospital for your tax credit donation? Miller, twice named Hospital of the Year by Hometown Health, is a 25-bed critical-access hospital that employs 500 people at its hospital, nursing home, and provider offices. Every dollar we receive from this program will be invested in staff, facilities, and equipment to provide quality care for real people…people who live and work in our rural community; people who would have to drive long distances for care if Miller County Hospital didn’t exist. Act Now! The Window of Opportunity is Limited. There’s no downside and no catch; it’s just this simple: instead of paying the State of Georgia the income tax money you owe, you donate the tax money to a rural hospital through the tax credit program and make a real difference in the lives of our patients. Time is limited for the tax credit opportunity. Pre-applications for 2019 will be accepted beginning October 1 of 2018 for 2019 taxes. The $60 million cap for the 2018 tax year was reached in a few short weeks – and we expect the same for 2019. Interested? Go to GeorgiaHeart.org to learn more and file your tax credit application. Once the cap allowed by the State of Georgia is reached, no other applications will be accepted; if you’d like to make a difference with your dollars, please act now. Watch Our Tax Credit Video! Would you like to speak to someone from Miller County Hospital about this program and how we will use any funds donated to our organization through the tax credit program? If so, we’d love the opportunity to talk with you!